Love comes in many forms and this romantic ring is a celebration of yours. Featuring a modern round brilliant diamond set in a soft square halo, the cathedral silhouette is adorned with sparkling diamonds and a fiery pair of accent diamonds below the dazzling center stone. 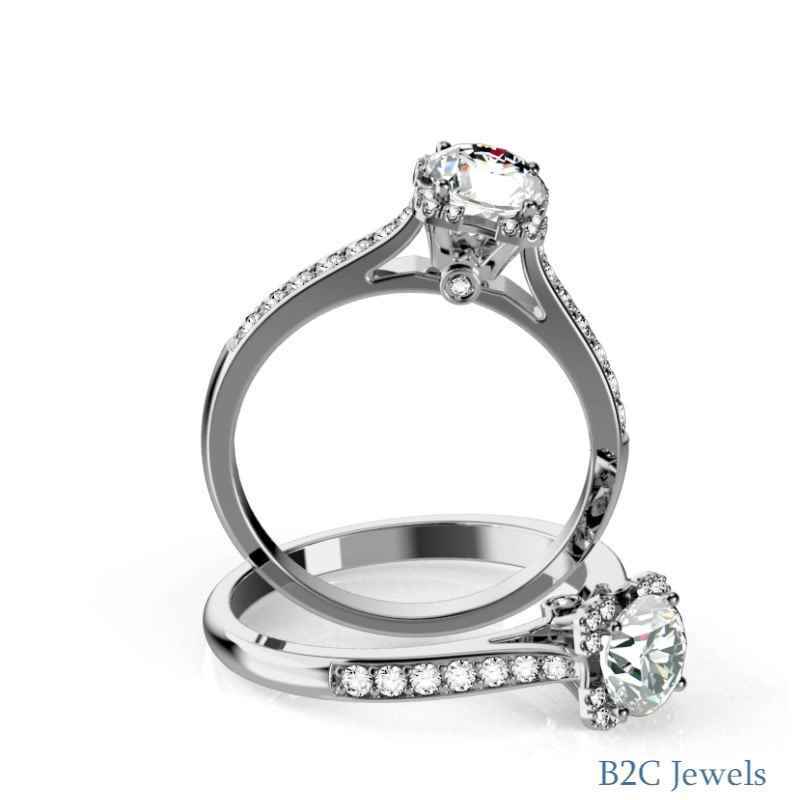 Prong settings protect the center stone and bring precision to the design. Minimum Carat Weight(ct. tw.) : 0.22 cttw.